When it comes to buying a new vehicle, it is important to find something that will be extremely comfortable. A lot of people pay close attention to the amount of power that is under the hood, but when you get into your vehicle each day, the interior is really what is most important. The 2019 Ford Taurus is a vehicle that brings a lot to the table when we're talking about interior features. You get all of the latest technology that is available. This will make your drive more convenient, but it will also improve the overall level of safety you experience each day. 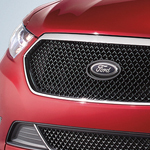 Ford has included many great features as part of the Taurus' standard package. This includes heated steering wheel, heated and cooling front seats and a very comprehensive infotainment package. You can upgrade to leather seating and a better audio sound system if desired.